Property development in Malaysia. 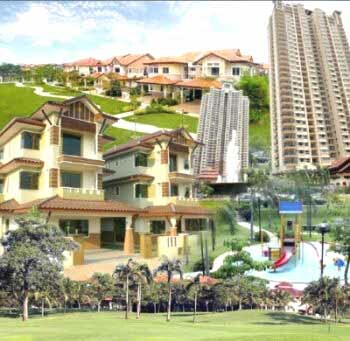 Will real property gains tax be raised? PETALING JAYA: Hot on the heels of the possibility that Bank Negara will propose tightening the mortgage loan market to curb speculative buying in the upper medium to high-end housing market, questions have arisen whether the Government may also be looking at raising the quantum of real property gains tax (RPGT). Some analysts have addressed this possibility in their recent research notes. Hwang DBS Vickers Research, in a report on Monday, said the RPGT might be brought back in its entirety (5% to 30% for property disposal within five years of purchase from the present 5%) in Budget 2011. Aimed at cooling off the rapid rise in housing prices, the full reintroduction of RPGT could further delay the return of foreign buyers that currently accounted for less than 5% of sales, it said. Prior to the exemption of the RPGT in April 2007, tax on gains from property disposal was on a progressive basis from 30% to 0% depending on the holding period of the property. If one buys a property and disposes it for profit within two years of purchase, the profit will attract 30% tax; within the third year will be 20%; fourth year 15%; and fifth year 5%. A sale in the sixth year and thereafter will not be taxed. When contacted, tax consultants and industry leaders expressed reservation that the Government would revert back to the full RPGT quantum so soon after it was re-introduced in January. The Government had, under Budget 2010 (tabled last October), proposed to reintroduce the RPGT at a fixed 5% rate on all property disposal regardless of status and duration. The blanket 5% RPGT drew a lot of flak from the public who felt it was unfair and punitive on genuine property owners and investors. In December 2009, the Government amended the policy, exempting all property disposals undertaken after five years from the RPGT. “There is no point in using an elephant to kill a rat. There will always be some speculative buying in the market, but as long as prices have not been inflated by artificial demand and there are no big surges in prices, some speculation is actually quite healthy,” Khoo told StarBiz. He said the RPGT would not be an efficient tool to raise tax revenue for the Government, and pointed out that the Goods and Services Tax would do a better job for tax collection. Foreign buyers generally are involved in close to 30% of Singapore’s property sales. Khoo said Singapore’s market had became too expensive and volatile for local Singaporean buyers and the government had to stabilise prices to ensure the locals were not priced out of the market. Among the measures introduced are the imposition of a 70% mortgage cap for buyers with more than one property and the launch of 36,000 public housing units within one to two years. Concurring with Khoo, Real Estate and Housing Developers’ Association president Datuk Michael Yam believes a higher RPGT would not be imposed in the upcoming Budget as there is little sign of high speculation or overheating in the local property market. “Any such move will be counter-productive to the government effort to stimulate the property market, and it will be another flip-flop in its policy decision that will damage the consistency of government policies,” Yam said. He added that a higher RPGT would dampen the market and result in a loss of revenue for the Government as revenue collected from property-related transactions, such as stamp duty and tax on profit of service providers including lawyers, estate agents and financiers, should be higher than the RPGT revenue. Tax expert Dr Veerinderjit Singh has always believed that “since the RPGT was not abolished or repealed, it is likely that it may be brought back when the need arises and the timing is appropriate especially to curb excessive speculation and rise in property prices”. He said a proper study needed to be conducted on whether the market was under control and if there was a need for new measures such as raising the RPGT to curb speculation. “If the study shows that the market has regained its footing and there is no need for the low RPGT to be maintained as a support measure, there may be a need for the rates to be lifted. After all the whole purpose of the RPGT is to tax speculative gains and rein in speculation in the market,” he added. As an aspiring homeowner who is willing to opt for lease purchase homes or lease purchase houses, you should be fully aware of the specific responsibilities involved in your individual contract. You should know about all the terms and conditions that are mentioned in your agreement. You must try to clear your monthly payments well in time. If you fail to do, it could imply or lead to the forfeiture of your right to buy the house. Moreover, you could also lose any extra money that you have paid to the home seller during your rent period. Thus, you must be careful before signing such contracts.